You know what I like best about this photo? 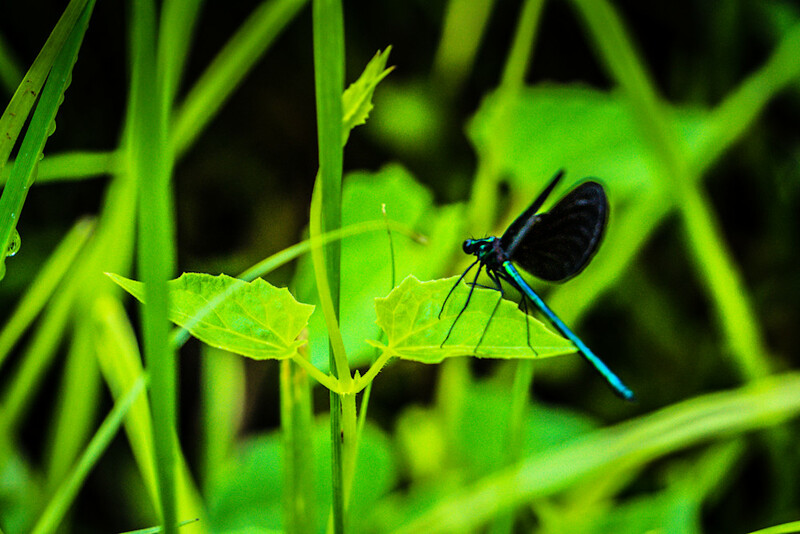 It's the way the vine curls delicately up the stalk of grass while this beautiful neon blue dragonfly sits lightly upon it's leaf. This is either a testament to the lightness of the dragonfly or the strength of the leaf. Which is it? You tell me.... I think it's pure poetry!